So you have uploaded your products to the catalog and you are ready to publish those products to eBay. Fantastic! 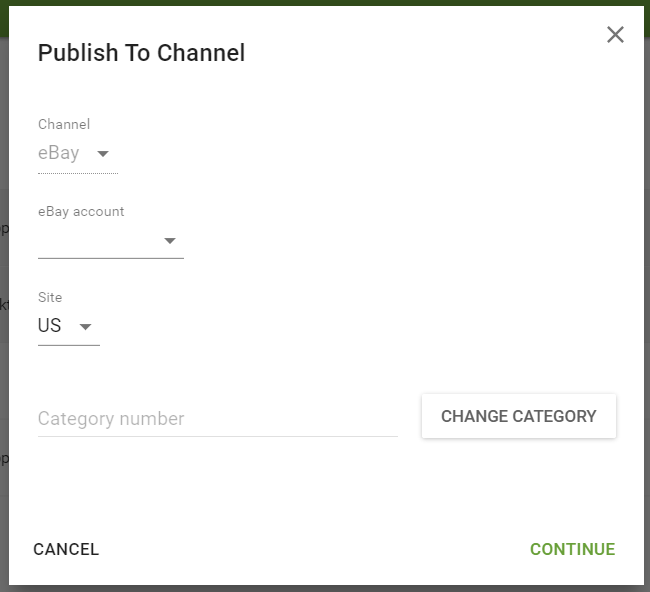 1) In the "Products Catalog" page, select the products that you wish to list and then click "PUBLISH TO CHANNEL". Note: Please select products from the same eBay category. If you have products in more than one category, you will have to do this step again later for the next category. 2) In the pop-up, select the channel, eBay account, eBay site, and category, and click "CONTINUE". Note: You must select a category number, so make sure that you only selected products within the same eBay category. The category cannot be changed on the next page. 3) You will now arrive at the "Publish setup" page where you will see the products that you had selected in the previous page. Here, for each product, you will fill-out/update the required information in order to prepare them as listings. Tip: You can hover on the warning symbol to get a clarification of the issue. 5) A pop-up will appear and let you know how many products are ready to publish, and how many products are incomplete. 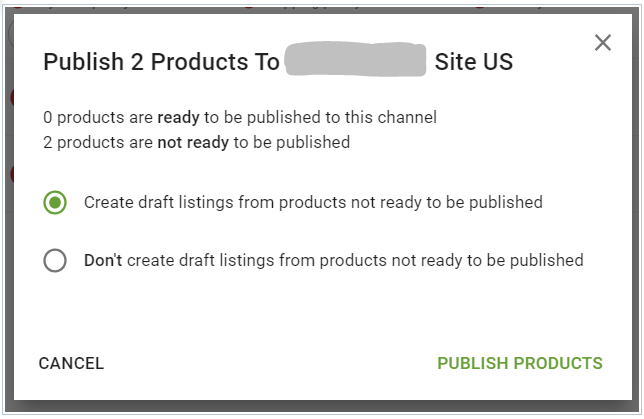 Create draft listings from products not ready to be published - This will save as a draft any products that are incomplete, so that you can go into them manually afterwards to revise and publish. Don't create draft listings from products not ready to be published - This will discard any products with incomplete information. Select the option you wish to go ahead with, and then click "PUBLISH PRODUCTS". 6) You will be taken to the "LISTINGS" page to see your live listings. If all listings published successfully, a notification will also appear at the top right corner to let you know. If any listings failed to publish, there will be a notification as well.